NEW YORK (CNS) — When a video game is set amid the vast, empty expanses of outer space, it had better feature the familiar hallmarks of the action-adventure genre rather than aim for anything resembling reality. That’s the lesson driven home by two recently released titles: “No Man’s Sky” (Hello Entertainment) and “Lego Star Wars: The Force Awakens” (Warner Bros. Interactive Entertainment). Both are priced at $60, and can be played on all platforms. “No Man’s Sky” presents space as it really is — unfathomably huge, containing an incalculable number of stars and planets, and ultimately — perhaps ironically — a bit dull. “Lego Star Wars,” by contrast, portrays the universe as a fantasy playground and is, as a result, far and away the better game. Gamers have complained that “No Man’s Sky” arrived overhyped, is boring and repetitive, and that its creator, Sean Murray, deceived them when he said it could be played with others. In a sense, that’s true, but the catch is that you first have to find these other players, no easy task in a universe the size of … well, the universe. After several hours or even days playing “No Man’s Sky,” it becomes clear that the charges against it have merit. The main objective here is survival. The player is a pilot who has to repair his ship. But to do so requires visiting different planets and collecting resources to modify the vessel and upgrade various items. That’s about the extent of the action. The tedious gameplay “No Man’s Sky” provides is a far cry from the fun, pulpy, machismo-tinged adventures of a Captain Kirk. In fact, after a while the game degenerates into a monotonous, seemingly endless grind of intergalactic travel. Even with billions of places to zip to, things begin to look the same — either that or the animals start to appear freakish and scary instead of exotic. The graphics are digital rather than organic, giving everything a similar ersatz sheen. “No Man’s Sky” is rated T for teens because of “fantasy violence.” But players of any age are more likely to be overcome by boredom than overwhelmed by mayhem. There’s no bloodshed or sexuality in evidence, though it’s hard to be definitive about such elements since the scale of “No Man’s Sky” makes playing it through exhaustively an impossible goal. After the drudgery of “No Man’s Sky,” it’s a pure joy to escape into the universe of “Lego Star Wars,” with its magical worlds and personality-driven creatures — comic-book dictators and swashbuckling rebels among them. There’s a delightful simplicity to this iconic space opera. Fans of the blockbuster franchise will easily guess the game’s objective: Players fight against the malign Galactic Empire and the Dark Side of the Force, that amorphous, new-agey energy that, according to the Star Wars mythos, surrounds and binds all living things — and that can be channeled either for good or evil. The ultimate goal is to blow up yet another Death Star; after so many films, books, TV shows and games, these floating fortresses seem to roll off the Empire’s assembly line like marbles. 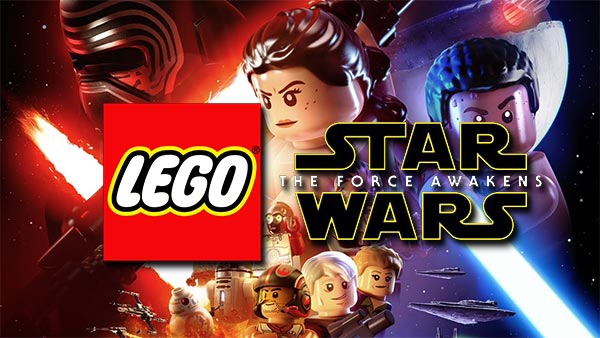 “Lego Star Wars” offers the chance to take on numerous different personas, all of them characters from the latest movie in the franchise, 2015’s “The Force Awakens.” The game is rated E 10 + for those ten and older. Predictably enough for a Lego game, however, the violence mentioned in the ESRB rating is cartoonish. It mostly involves smashing stuff, then building it up again. The best part of gameplay are the flying sequences. X-Wing fighters dodge through asteroid fields, gunning down opponents and racing to give aid to the Resistance. It’s about an eight-hour game in total. That’s a nice, manageable chunk of time compared to the tiresome eternity of “No Man’s Sky,” and it passes all the more enjoyably thanks to some witty inside jokes.